May 1 – International Workers Day. I am happy to see people who look too young to have actually had a job out in the streets reminding the world about evil old capitalism. Not that I don’t empathize. Corporations serve to generate profit and have demonstrated a willingness to do so at pretty much any cost – including human. Someone needs to represent human rights within the workplace and, perhaps, take to the streets once in a while to remind everyone they are willing and able to make a stink in a most fundamentally democratic way. 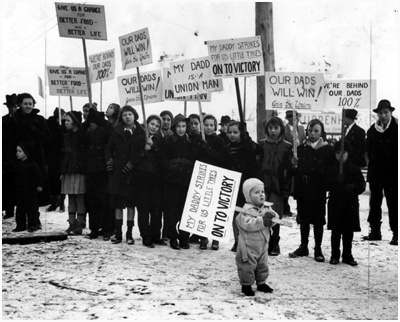 Unions have clearly played a leading role in the struggle to ensure fair treatment. They’ve made mistakes (who hasn’t?) but the lot of the industrial worker is decidedly better off for having had them. Some argue the time of Unions is past, but considering their successes, I want in. I want a union. I’m thinking of calling it UNGOWoW – a bit unruly but if you say it a few times, I think you will see how it can be turned into an excellent marching chant. United NGO Workers of the World – UNGOWoW. I thought about NGO Workers of the World United but you can’t really chant NGOWoWU without sounding like you have a serious sinus infection. Why unionize? Some estimate civil society employs between 7 and 10% of the world’s workforce. That’s a lot of people who are usually paid below-market rates. Their organizations (outside countries with nationalized health care) can’t often afford good medical coverage. 7-10% of the world’s workers deliver daily benefit to society in real and social terms yet remain under-paid and under-covered – that’s not good. Now, I realize organizing UNGOWoW will be harder than herding cats. Getting NGO people to agree on anything often seems oxymoronic. Then there’s the business case. We might get some philanthropists to help with start-up costs but it’s going to have to be a membership model and that’ll to cut into the beer-budget. Once we do get going, we have to become better at explaining ourselves in order to negotiate better employment terms – we’ll probably have to provide members with market-beating education opportunities and support efforts to improve transparency in civil society itself which will be tricky. Doable? Good question people, I’m fantasizing because I have the day off, but I think we can get somewhere with this. Besides, as an advocate for design thinking, I’m not going to let a few little unknowns like lack of business case stop me. Therefore – in true Design style – I invite you to the first, ever, market testing UNGOWoW Day Off. That’s right NGO people. Let’s strike. Have you seen that movie where all the Hispanic domestic workers didn’t show up to work one day and suburbia fell apart? Yeah, that’s what I’m talking about – rebels with a cause on strike for a day. Hell, let’s take two, they’re small (I’d suggest more but I’m really busy right now). Society will have to notice us. Think of all the policy research momentarily on hold! The nagging paused! They won’t know what to do as Hubs close, kids run amuck for lack of after-school programs, private college students call and ask for extra money because the cafeteria is closed, and there are no theater options in the evenings. So who’s with me? And how’s next Wednesday? I know we all have lots of office supplies we over budget for in grants so bring on the flipcharts and markers. I’ll bring cookies and can call in a beer sponsor. Let’s show the world what it would be like without us. Even if they don’t notice, it’ll be a lot of fun, no? NOTE: another nearly synchronous blog postings with two of my favorite people – read their take @ http://madamadepica.blogspot.roand http://codruvrabie.blogspot.ro.